Take a guided tour of Boschendal Wine Estate, an expansive farm and wine estate (one of the oldest in the country dating back to 1685) with leafy gardens and sweeping mountain views. Learn about the farm's history on a tour of the homestead, view the cellar and vineyards, or take a walk through the rose garden. Visitors can sample a variety of wines, book picnics or horseback rides, and taste a meal made from locally sourced ingredients. Pay a visit to the estate's gift shop for a souvenir before you leave. 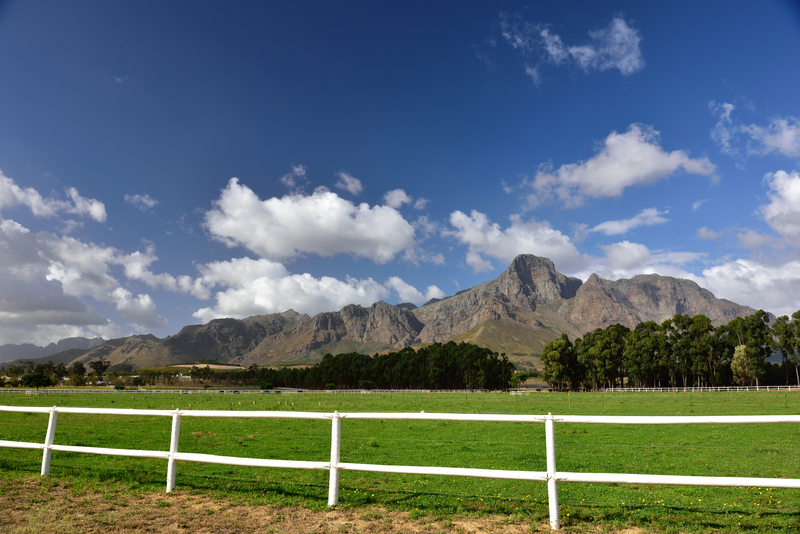 Use our Franschhoek trip planner to arrange your visit to Boschendal Wine Estate and other attractions in Franschhoek. The Rose Garden is an excellent place for a group picnic. I absolutely enjoyed the roast garden carrots, garden slaw salad, roast cauliflower and garden pesto. We had our choice of seats at a picnic table overlayed with a white dining clothe. The food came out in brown picnic baskets, which was a nice touch. The waitress was very friendly and attentive. There was a fair amount of people at 1pm, but it never felt busy. Overall, I recommend this place for a group lunch. Great place to pick up some meat, cheese, bread and a glass of wine for a picnic. Plenty of table seating outdoors under the trees. I found the wines decent, but I did not end up picking up a bottle here as I found more exciting wines elsewhere. It is worth stopping by for a taste as maybe you will end up with a bottle or two. The meat shop is definitely worth a visit in itself and it is perfect to pick up some cured meat or something fresh for a braai that night. Nice setting and wine. Found the servers to be very inattentive and it has a bit of an informal vibe around the tasting area. However, it is a beautiful spot with great wines and quite a welcoming vibe. very nice food at the deli restaurant. perfect service. beautiful garden. They are too expensive and only wave tasting fee on massive purchases. More expensive farms with better wine wave with smaller purchases. Very very disappointing to see they are only about the money! Every day, we help thousands of travelers plan great vacations. Here are some tips on how to use your Listing Page to attract more travelers to your business - Boschendal Wine Estate. Promote your permanent link - https://www.inspirock.com/south-africa/groot-drakenstein/boschendal-wine-estate-a217844535 - on your website, your blog, and social media. When a traveler builds a plan from this page, the itinerary automatically includes Boschendal Wine Estate. This is a great way for travelers looking for a great vacation in your city or country to also experience Boschendal Wine Estate. Promoting your link also lets your audience know that you are featured on a rapidly growing travel site. In addition, the more this page is used, the more we will promote Boschendal Wine Estate to other Inspirock users. For best results, use the customized Trip Planning Widget for Boschendal Wine Estate on your website. It has all the advantages mentioned above, plus users to your site can conveniently access it directly on your site. Visitors to your site will appreciate you offering them help with planning their vacation. Setting this up takes just a few minutes - Click here for instructions.